This is a watershed era for women in the military. In January 2017, women joined combat units for the first time. Another milestone was passed later that year, when a woman completed a punishing thirteen-week officer training program. Thirty-six women have attempted the course but until last September, none had succeeded. Marine Corp is recalibrating its tests of physical strength to be more equal between men and women. Walter Thompson (JWT) has been part of the larger conversation about gender integration of the force. The marketing firm, which has worked with the Marine Corps since 1947, took on the issue in a 2016 advertising campaign by prominently featuring images of servicewomen in action. A striking 2017 television ad, offering a sweeping depiction of the Corps’ history, included the contributions of servicewomen. But JWT marketing materials from a few decades ago indicate how far the company—and society at large—has come with regards to gender equality in the military. In the Hartman Center’s JWT Review Board Records collection, there is a 1963 brochure inviting women to join to the USMC. Unlike the contemporaneous material targeted at men, which emphasized building physical strength and personal integrity, this brochure revolved around the outfits female marines would wear in different circumstances. Despite this limited vision of what might attract women to the Marine Corps, in the 1960s servicewomen made important strides. In 1964, there were 1,281 women in the Marine Corps, serving in diverse fields such as intelligence, operational communications, transportation, legal, avionics, aerology, and aviation operations. Regulation changes in 1965-1966 made it easier for women to stay enlisted after marriage, which lengthened women’s careers and gave more opportunities for advancement. In 1963, the first woman attended Amphibious Warfare School; in 1966 the first women arrived for active duty in Pacific overseas bases, including Vietnam. The 1963 pamphlet conveyed stereotypes of women as passive and feminine, more concerned about their appearance than their jobs. 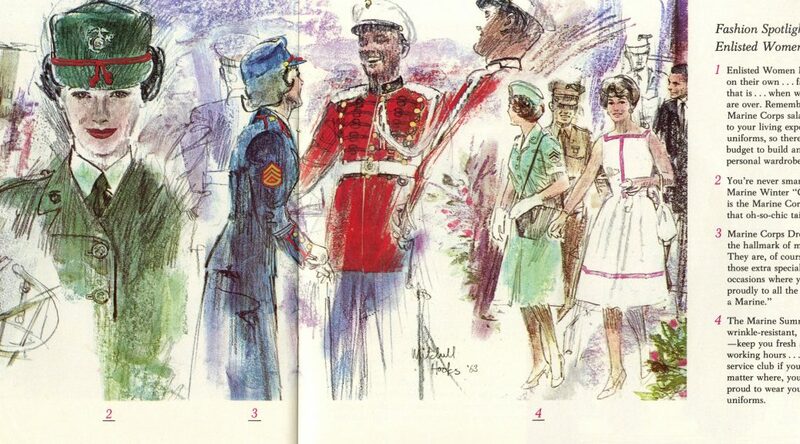 Nonetheless, the JWT marketing campaign in the 1960s contributed to growing numbers of women in the Corps, many of whom broke boundaries and redefined norms. 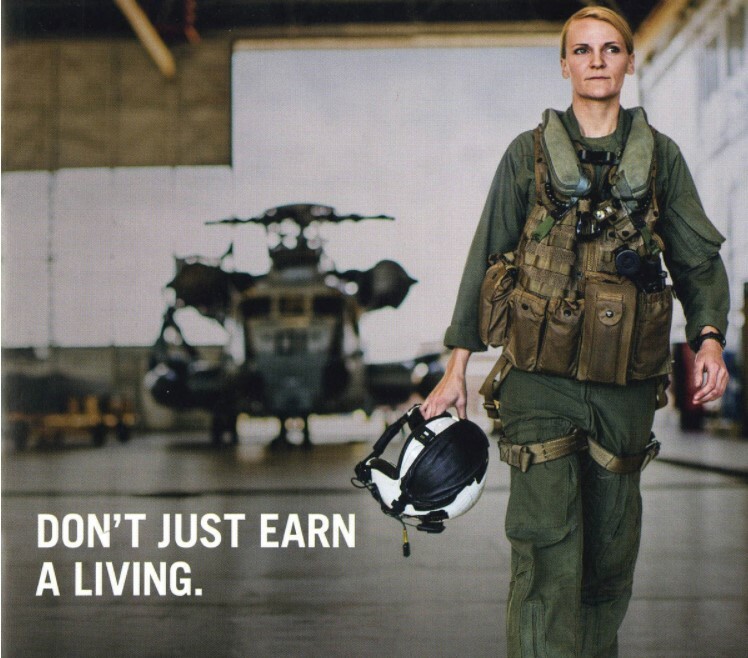 JWT’s most recent advertisements help to normalize the image of military women active both in and out of combat. This is an important transformation, since women’s abilities and the meaning of their bodies are still highly contested. Stremlow, Mary V., and USMCR. A History of the Women Marines, 1946-1977. History and Museums Division Headquarters, Washington DC: CreateSpace Independent Publishing Platform, 2014.